In the advent of fake news, Croplife Philippines took the opportunity to underscore another fake element that has been plaguing farmers in the country for years. 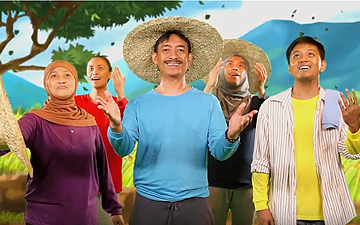 Croplife Philippines recently partnered with the Fertilizer and Pesticide Authority for the “Ang Peke Peke Mo” campaign, a program that draws its “hugot” from farmers victimized by the proliferation of fake pesticides. It underscores the impact of the counterfeit products on the harvest and income of agricultural workers who toil for months to earn for their families. “Dahil sa paggamit ng pekeng pestisidyo, napeste ang pananim,” one of the farmers in the ad lamented. Another cited the loss of income while another said that their livelihoods were adversely affected by the ill effects of fake pesticides. Wilfredo Roldan, Executive Director of the FPA urged farmers to stop patronizing fake goods and asked farmers to check if the products they purchase are approved by their agency to ensure its safety and effectiveness. “A lot of our farmers have been falling prey to these counterfeit products that are being sold at a cheaper price by unscrupulous traders. Because they want to save on their expenses, they buy these goods not knowing that these are not only ineffective against pests but are even harmful to their crops,” Croplife Philippine Executive Director Edilberto de Luna said. He said that the campaign seeks to promote awareness among farmers so that they will not fall victim to counterfeit pesticides.